It has been said that there are some things we know, there are some things we know we do not know, and there are some things we do not know we do not know. In other words, there are realms of knowledge beyond our present understanding. In recent Langstaff Letters, we have considered the subject of ‘Why Aren’t You Healed?’ and we have had to say we do not always know the answer as to why someone does not get healed. We have to admit that we do not know and continue to trust God anyway. Revelation is the key to knowing and understanding God. It is not primarily us searching and finding out for ourselves knowledge about the Almighty. 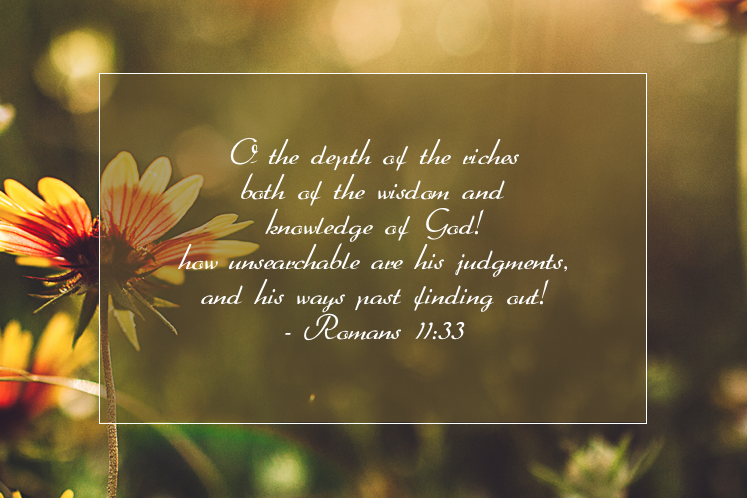 Rather it is knowing that we only know God as He has revealed Himself to us, especially in His Word and supremely in and through His son Jesus Christ, as revealed in His Word. The study of the Word is essential to gaining knowledge, but ultimately real knowledge comes out of an intimate relationship, in which we begin to know God in a personal way. We may not know everything about God, but this much we know, that we have all the knowledge that is required for salvation as spelled out in Scripture. In other words, God has some secrets and He chooses what He reveals to us. In all this, He is wanting us to live by faith and keep His Word. Now, this was given at the earliest times of the Old Testament and in subsequent generations, God chooses to reveal more and more. Amos 3:7 tells us, “Surely the Lord does nothing unless He reveals His secrets to His servants the prophets.” For example, God revealed secrets to Daniel in a night vision (Daniel 2:19, 22 & 27). Those visions are still being worked out today. Nevertheless, we still do not know everything and we do not have all the answers to all the questions. Proverbs 25:2 tells us, ‘It is the glory of God to conceal a matter, but the glory of kings is to search out a matter.’ So we must keep seeking. Bear all that in mind as you look at the question, ‘Why Aren’t You Healed?’ Bill Johnson of Redding California has a fascinating message entitled ‘The Value of Mystery.’ Bill Johnson, who has been used so much in healing and encouraging people to pray for healing, faces a paradox concerning his own son. Let me quote him. “My oldest son, Eric, is 85 to 90% deaf in both ears. He has an amazing gift for life. He functions beautifully in the “hearing world” and has never had to learn sign language. His adjustments to life are miraculous, while his self-esteem is unaffected by this handicap. It is strong and Christ-centered. “I was fasting and praying for his healing some years ago, and God spoke to me very clearly that He was going to heal him. It has happened in the atonement and will be seen in my lifetime. We don’t treat it as a someday off in the future God will heal Him kind of thing. We view it as a right now word. Yet he still can’t hear without the assistance of a hearing aid. He goes on to give a delightful illustration from his family life. Why are you not healed? I do not always know why, but I will keep pressing on and pressing in and trusting God anyway. Let us keep searching for the fullness of the truth that is ours in Jesus Christ and the Word. God’s word is clear we are to seek first the Kingdom of God. We are called to be seekers. Let us keep seeking! It helps me when looking at the verse “It is the glory of God to conceal a matter, but the glory of kings is to search out a matter”, to remember the word glory means goodness; as in when God passed before Moses in Exod 33:18-19 And he said, “Please, show me Your glory.” Then He said, “I will make all My goodness pass before you, and I will proclaim the name of the LORD before you. I will be gracious to whom I will be gracious, and I will have compassion on whom I will have compassion.” This all ties in with He works all things together for good…” One can count on the truth that if not healed yet, His ways and plans are for good reasons, though we may not understand the “mystery of His concealment”. Even His concealment is meant for our good not harm. God is not the author of evil or sickness. He is worthy of our Trust. Simple yet profound, GOOD GOD, BAD DEVIL. Though He slay me, yet will I serve Him. Many are the afflictions of the righteous, YET HE DELIVERS US OUT OF THEM ALL. So like the other examples of those who heal others, yet have their own unhealed situations, I say AMEN. Loved the story of the Easter egg hunt and level of ability…may be difficult , BUT NOT IMPOSSIBLE. That’s our God, He would never be cruel or sadistic. He is not a child abuser. Trust and Obey, for there is no better way to be happy in Jesus , but to trust and obey…from my baby Christian days.